Shannan has been kind enough to write a blog post for us. It is wonderful she is so willing to share her ideas, concerns, and difficulties so the rest of us have a better chance at making a successful batch of liquid soap. Thank you Shannan! I sincerely hope everyone enjoys Shannan’s post as much as I have and you find it helpful. Happy Liquid Soapmaking! 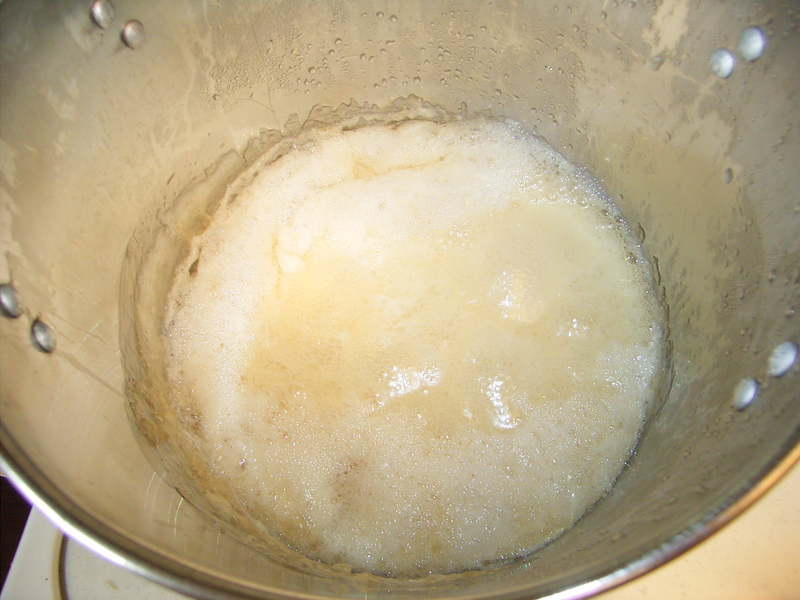 Here is my experience making liquid soap in the crock pot. 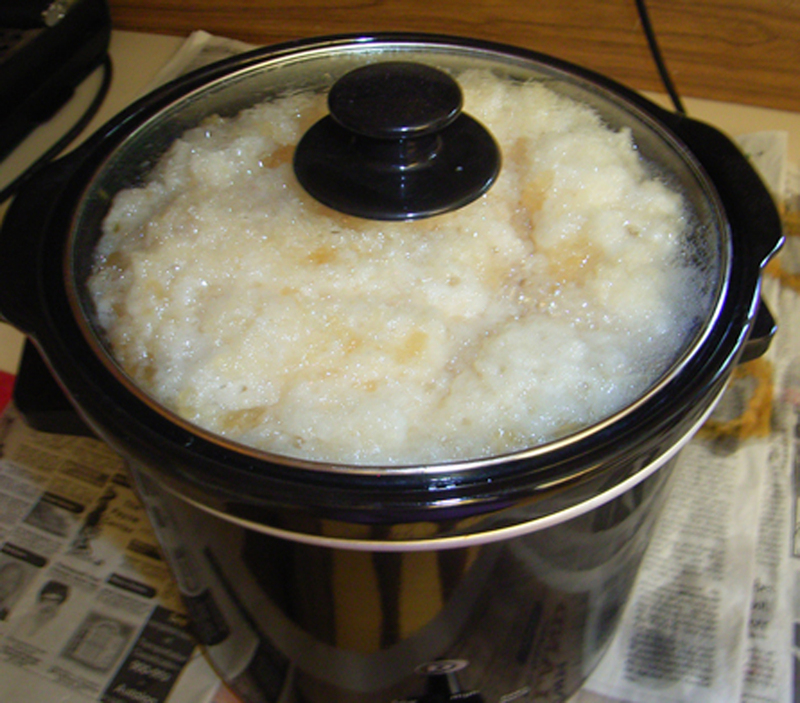 I choose the crock pot for the liquid soap for two reasons: 1) time; 2) I don’t have an older stove and I’ve heard that flat- top stoves don’t provide consistent heat – so I don’t want to take a chance. Finding a recipe can be challenging and I just don’t know enough about the science behind liquid soap making to create my own. I decided to take the recipe from MMS (recipe section – liquid soaps – there’s only one) and try it in the crock pot rather than let it rest for a few days. Not having the shortening, I used Soybean Oil and double-checked the Lye. If I remember correctly, it was nearly identical. 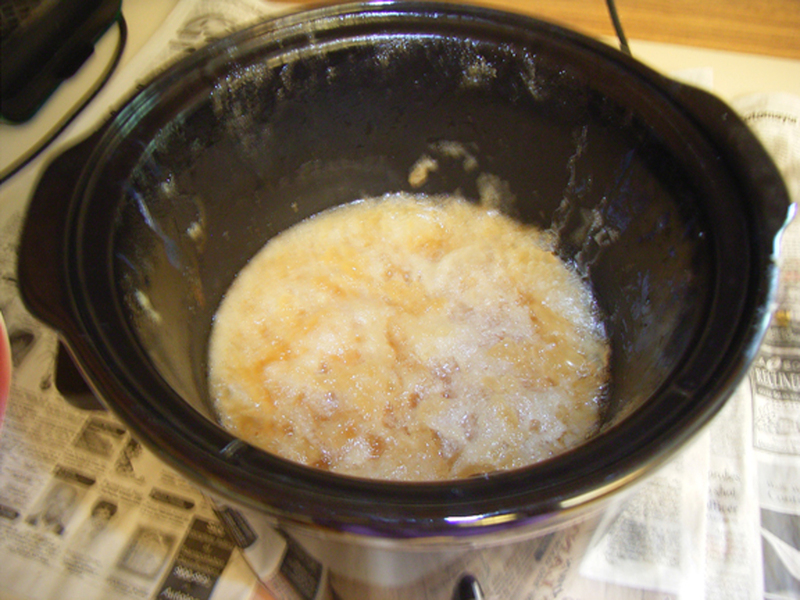 After mixing the lye mixture in with the oils and putting the crock pot on high temperature, it didn’t take long to look like this. I kept my eyes on it and stirred it every 30 minutes. After 3 hours, it looked like this. Here is when I test it – I check at 3 hours with phenolphthalein. If it doesn’t turn pink, the lye has been neutralized. It’s hard to tell from the picture, but it is clear. 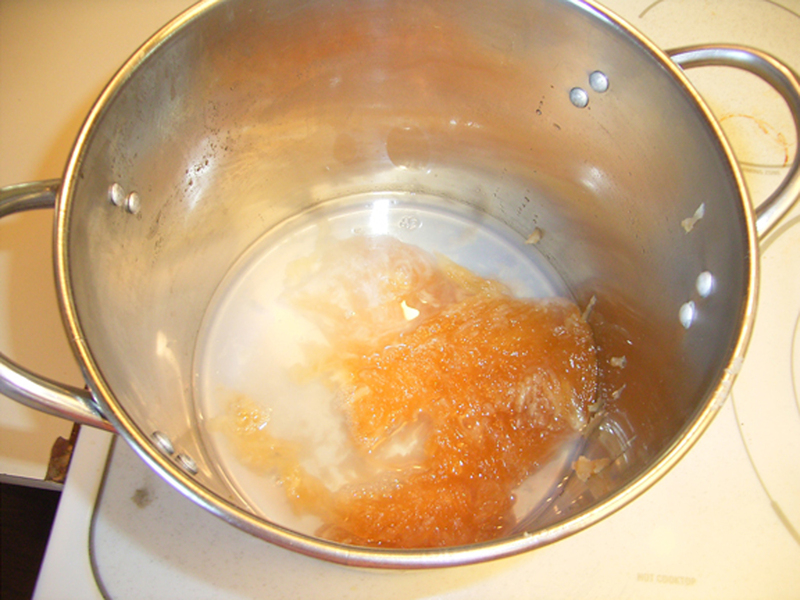 Next, I weighed about half of the neutralized soap and put it in a stainless steel pot on the stove with the same water weight. I brought it to a low simmer. The other half I let cool down, sealed it, and then put it in the refrigerator for future use. The hard part for me was trying to determine the correct amount water to add to the paste. The goal is to get the soap paste to dissolve. I ended up going over double the weight of water and it was still a little thick. Then I added a mix of Lemon Sugar and Cotton Candy fragrances and stirred to incorporate the foam. Here is what it looks like before I get ready to pour it into the soap containers (after I’ve spritzed it with rubbing alcohol to remove the remaining bubbles). And the final finished product is. It didn’t get all poured that night. The next day I added a little more fragrance and it looked very nice. It’s still pretty thick and I may need to add water to it periodically, but it still works and lathers well. I’ll use the remainder of the batch with when we get low on liquid soap. I can use a different fragrance combination as well. This half batch has resulted in about 4 – 10 oz. containers. Other than creating the recipe, the hardest part for me is getting the consistency correct. The last time I made it (from a different recipe), it was too thin. Still, I haven’t had to throw any away and I think it is much nicer than what you buy in the store. My hands aren’t all dried out. It will take a little more practice before the soap can be given to others. Has anyone else made liquid soap and had success? If so, I’d really like to hear your words of wisdom. This last weekend, I worked with the batch I had placed in the refrigerator. Here’s what it looked like. This time I added 3 times the water. Here is what it looked like with the paste nearly dissolved. Here it is with Purple Raspberry colorant and scented with Rooibos Tea and Red Currant. Sad to say, it’s still a little thicker than I would like. Oils and Lye mixture in the crockpot. My soap after 3 hours. The results of my phenolphthalein test. 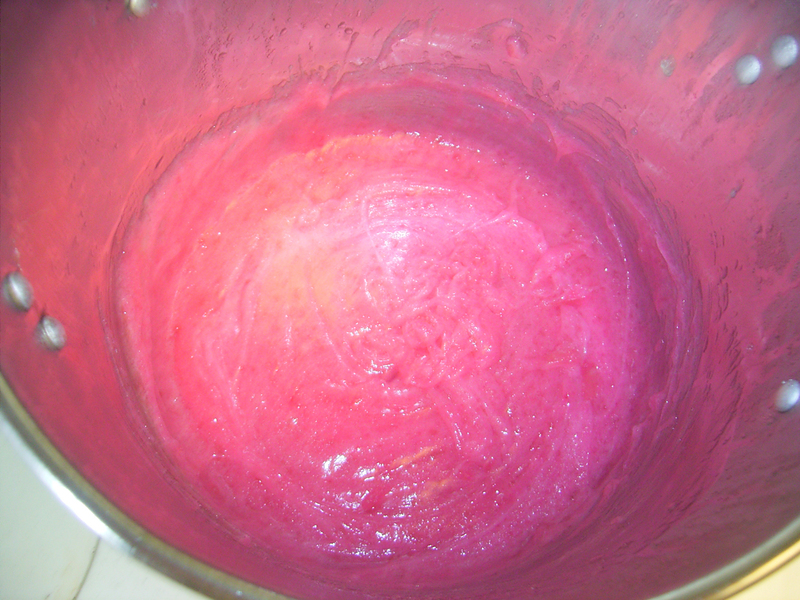 Half of my soap paste in the pot. My soap after spritzing with rubbing alcohol. My other half of soap paste. My soap after I added color and fragrance oil. The soap paste almost blended with water. Ihave wanted to make liquid soap but havebeen a little to nervous to try, this has given me encouragement to try. Thanks! I have also wanted to start making liquid soap and I think I will go for it this week. I have two questions though. First, how do you get the liquid soap clear? And what can I use instead of Soybean Oil since I don’t have any? Would Palm Oil or Palm Kernel work? How long did the entire process take when doing your liquid soap? So far, I have only made liquid soap in a crock pot and not had too many problems. You can read about my liquid soapmaking adventures here,Liquid Soap Category. Crock pots are ok. After the initial combining, I found that I didn’t need to worry about the temperatures as precisely. I hope this helps! Oh can someone please help me!!! This is my second batch of liquid castile soap. My first using C Failor recipee remained a blob. Now my second, using the recipe on this site refuses to go translucent. It goes thru every other stage but not the last. I am just wondering how many more hours I can do this! I am using the double boiler method. Please, can anybody help! 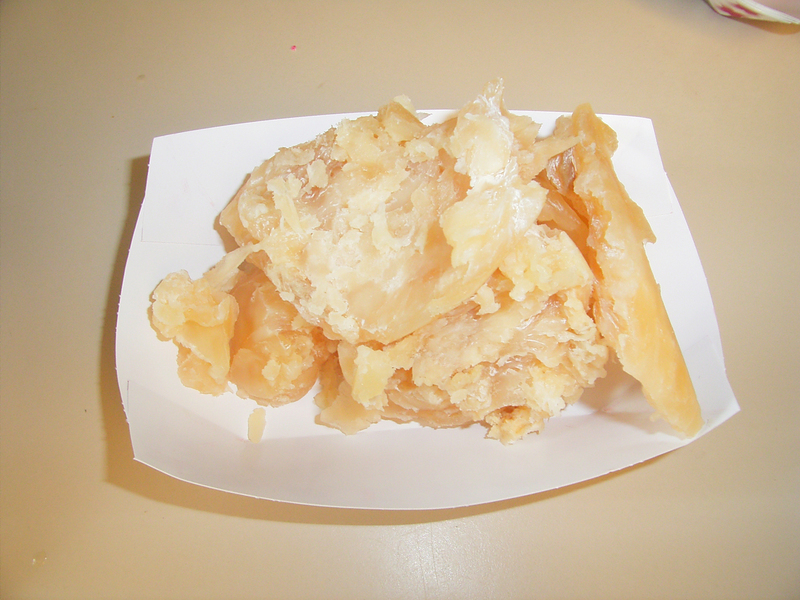 Try making a sample of liquid soap. 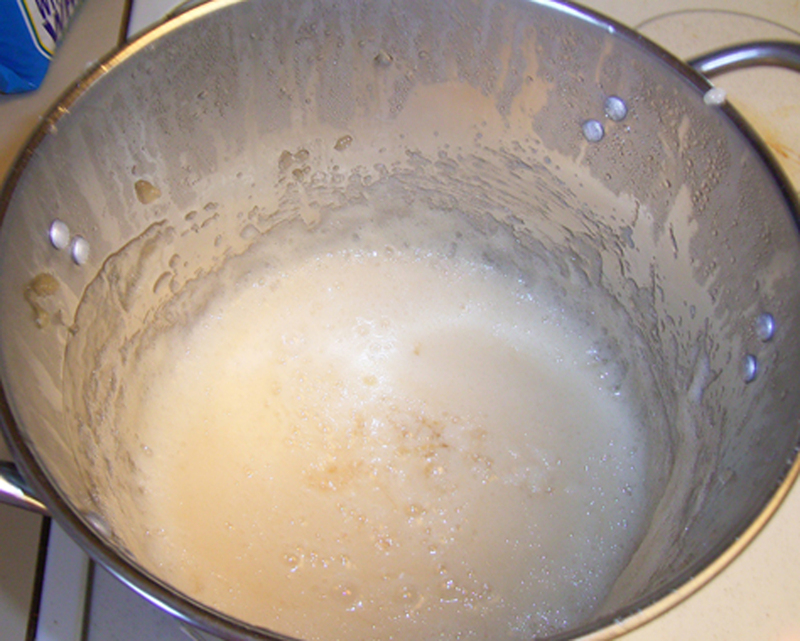 Boil 2 ounces of water and added 1 oz of soap paste to the water. Stir until the soap paste is completely dissolved. Allow the soap sample to cool. If the soap is completely clear, you can dilute without problems. If you still have a cloudy soap, let us review your recipe and method of preparation. Good Luck! Hi again. I am following your recipe for Castile soap, ie 6 oz KOH, 32 oz olive oil, and 12 oz water. The only thing that I can think may be the problem is that my olive oil had 10% virgin olive oil in it. Could this be the problem? When you say the sample should be clear, should it be as clear as water? It is clear of debris and is not milky, just the colour of mild yellow urine. Regards. It sounds like your soap is ready to dilute. Sometimes, it isn’t always translucent and it has more of a yellowish opaque appearance. Trust your sample and go ahead! fills like there is soap scum after wash off so what can i do for that. I followed the recipe for “Liquid Soaps Shampoo Gel” on thesage.com. I just made it in a crock pot, it hit the gel phase, no bubble over and it seems perfect and ready!?! I have made liquid soap in the past and it always bubbles over and takes more than a few hours but this one seems ready in just an hour, I even tested it with a pH strip and it’s a 6. Can that be right? Or should I let it sit for a few days to be safe? If it has gone through gel phase then I think you can safely proceed. When do you add the germ all plus or optiphen and how much do you use. No one mentions this in their soap making recipes that I have found so far. A preservative is added at the time of dilution. I recommend using Liquid Germall Plus and using the recommended rates of 0.1-0.5% of the total formulation. I’ve read of a few instances where Optiphen thins a liquid soap more than desired.